This week’s journey by county through the archaeology of Pennsylvania takes us to southwestern Pennsylvania and Westmoreland County. This county is located in the Pittsburgh Low Plateau Section and Allegheny Mountain Section of the Appalachian Plateaus Physiographic Province. The region is characterized by rolling uplands and moderate to steep sloping valleys. The Allegheny and Monongahela rivers form the western boundary of the county. The principal tributaries are the Conemaugh and Youghiogheny rivers and the Loyalhanna and Sewickley Creeks. The county contains one of the highest densities of sites (1/0.94 square miles) in all of Pennsylvania. The historic period is poorly represented as less than 10% of sites date to that period. Fig. 1) Overview of the Consol site located on the hilltop saddle looking east. This week we are pleased to have Bob Oshnock as our guest blogger. Bob has organized and supervised the excavation of one of the most significant Monongahela sites in southwestern Pennsylvania. Most importantly, he has made sure that all of the artifacts are processed on an annual basis along with producing a detailed report documenting the Chapter’s efforts. Bob is an outstanding example of a non-professional archaeologist doing a professional level job. The following is a brief summary of the research being conducted at the Consol Site. The Consol site (36Wm100) excavations started in the year 2000. Every year since then, he and the Westmoreland Chapter continue research at the site. The crew consists of volunteers from the Westmoreland Archaeological Society, Chapter 23 of the Society for Pennsylvania Archaeology, Inc. The Consol site is located in Sewickley Township, southwestern Westmoreland County. 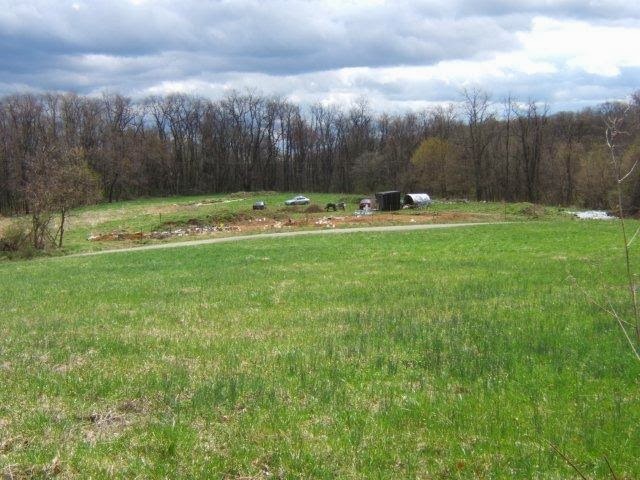 It occupies a high hilltop saddle (Figure 1) two kilometers from the Youghiogheny River. Excavations normally start by the middle of April and continue all summer until sometime in November when the cold weather precludes field work. Members of Chapter 23 spend the winter months processing the artifacts (washing, sorting, marking, inventorying and photographing) in their Westmoreland County archaeology lab. 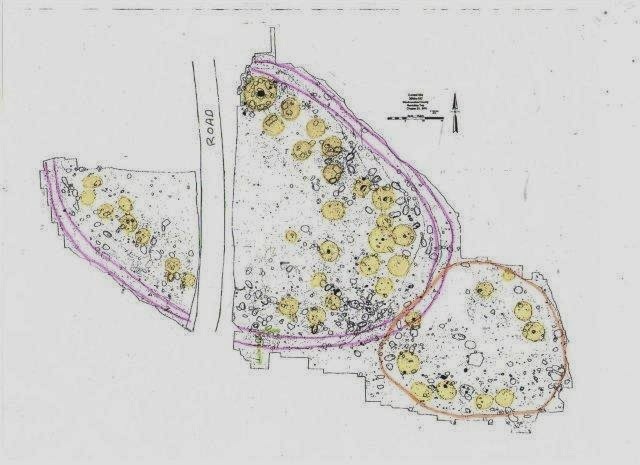 The Consol site is a multicomponent prehistoric site with both an Early Drew Phase Monongahela village component and a later Middle Monongahela component. Both components are encircled by stockades that overlap each other by approximately 10 - 20 meters. No evidence of actual dug stockade trenches have been found with either of the Consol site lines of fortification. Some of the pit features found on and near the Monongahela villages indicate that an earlier prehistoric occupation was present during the Late Middle Woodland time period. The Early Monongahela component (Figure 2) is the smaller of the two occupations and measures 42 x 50 meters in diameter. It is surrounded by a single stockade and contains 11 round houses that are arranged just inside the stockade wall. This village dates to the 13th century or approximately 1200 AD – 1250 AD. Features, such as hearths and storage/processing pits associated with this occupation extend to the south and west, outside the stockade. A small plaza occupies the center of the Early Monongahela village and this was likely used as a communal activity area by the villagers. This village has been completely excavated. The Middle Monongahela village (Figure 2) is the larger of the two. It is generally oval in shape, measuring 77 x 112 meters in size. There are two concentric stockades surrounding the village. These stockade lines are a consistent 3 - 4 meters apart and encircle 35 round houses. 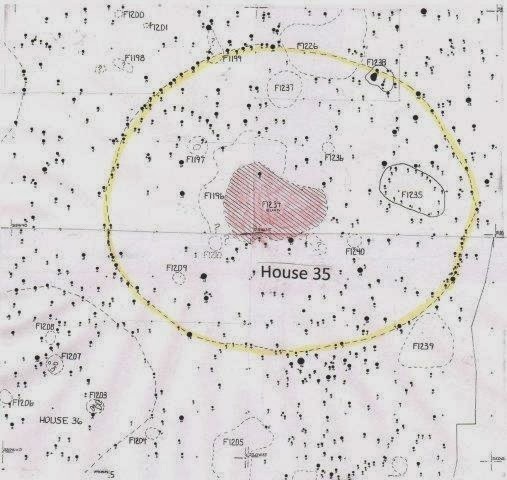 Evidence has been found indicating three partial smaller and likely earlier stockade lines inside this larger village. The houses are arranged in an oval shaped pattern. A 30 – 35 meter diameter plaza occupies the center of the village and it appears to be devoid of features or evidence of any other type of activities. However, a semi improved township road bisects the central plaza from north to south and this may have destroyed any evidence of earlier prehistoric activity. Another two years of field work is necessary to complete the excavation of this village. Based on C14 and AMS dating (Figure 3), this village was occupied sometime during the 15th century from approximately 1400 AD to 1440 AD. It may be that the purpose of the double stockade erected around this village, compared to the single stockade surrounding the earlier village is likely related to climate change. 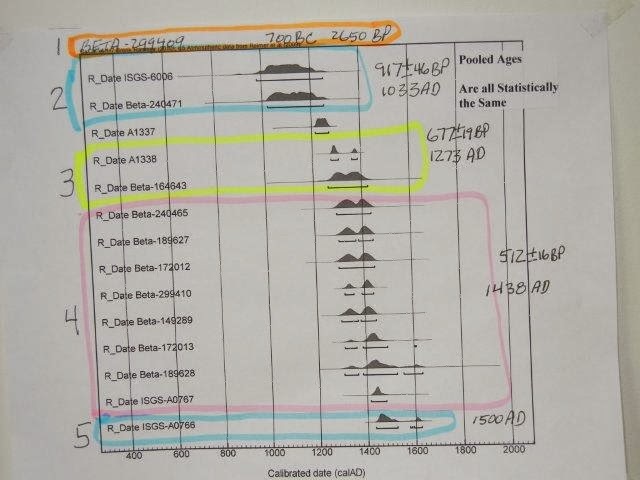 The radiocarbon dates reported from the Middle Monongahela village correspond with the onset of the Little Ice Age. During this climatic episode, summer temperatures were slightly cooler than present thereby reducing crop yields. Following this scenario, maize and other cultigens would not have been able to produce sufficient yields to allow the villagers to survive over the starvation months of January through March. Therefore, one solution would have been the construction of a double stockade to protect stored food supplies from outside raiding parties who also suffered from dwindling winter stores. During the occupancy of the Early Monongahela village, the Little Ice Age had not yet started; therefore a single stockade running around its village was sufficient. The entrance to the Middle Monongahela village consisted of a zigzag passageway through the double stockade line (Figure 4). Bastion towers were situated on both sides of the entrance. These towers may have served as guard posts or as sentinel platforms and used during times when the village was under siege. A good flowing spring is located 80 meters due south of this entrance. Even today, it flows copiously during summer droughts. A lesser quality spring is located north of the village but is not associated with an entrance way. These springs were probably one of the principal reasons that the Early Monongahela and Middle Monongahela settlements were built at this location. We hope you have enjoyed this introduction to the Consol site excavations and the archaeological heritage of Westmoreland County. We also encourage you to take a look at our past blogs for the archaeology of your county. There are only two counties left to explore in Pennsylvania under this TWIPA topic and we are contemplating a theme or series of themes for the next series of blogs. If you have a particular blog in mind that you would like us to cover, please post your comments and we will see what we can do. We appreciate our faithful followers of the TWIPA blog and hope to continue providing useful information for our readers on the archaeology of Pennsylvania. This week we return to our long anticipated county by county journey through Pennsylvania for a visit to the Northeastern region of the state in Wayne County. Situated along the Delaware River on the border with New Jersey and New York, Wayne County has experienced rapid growth and development from spill over from nearby cities. This region is in the Glaciated Low Plateaus Section of the Appalachian Plateaus Physiographic Province. The landscape is characterized by moderately broad valleys separated by rounded hills. The average winter temperature of 25 degrees is offset by summer temperatures averaging in the mid-sixties. A check on the temperature for today shows a current temperature of 0 degrees with snow showers. Average snow fall is 57inches, but with the storms this winter they are likely well above average. 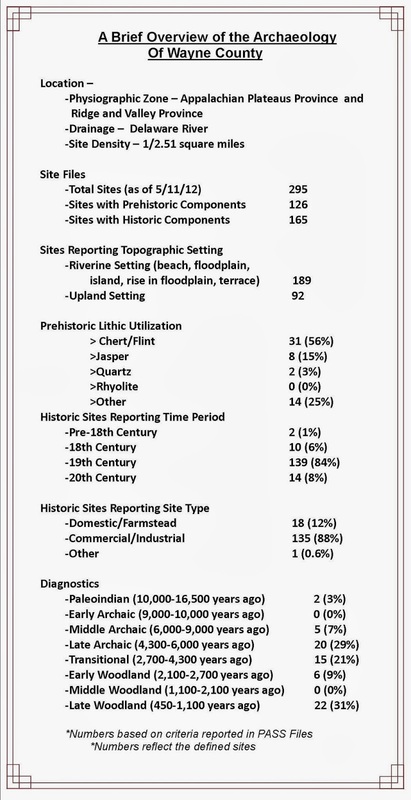 A quick look at the Pennsylvania Site Survey Files (PASS) reveals a relatively high number of sites for this fairly small county with nearly 300 sites recorded across all time periods. 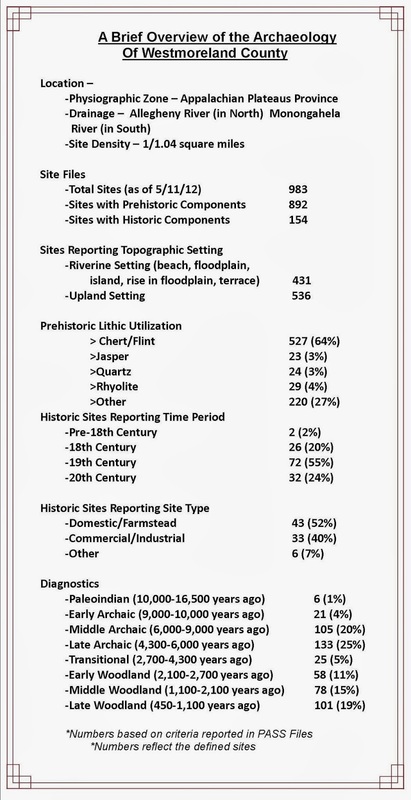 Nearly two-thirds of the recorded sites fall within the riverine setting which includes floodplains and terraces an indicator of the important role that the Delaware River played in settlement, but other factors likely attributed as well. What drew native peoples to this region and led to European settlement here during the 18th and 19th century? The highest percentage of prehistoric sites recorded to date fall in the Late Archaic (4,300-6,000 years ago) and Transitional period (2,700-4,300 years ago). Archaeologists have observed changes in the environment during this period which ultimately led to changes in vegetation and settlement. The warmer climate of this period allowed for an increase in sustainable resources which resulted in population growth. To access these resources of nuts, berries and wildlife, native groups were drawn to specialized processing and procurement camps. Chestnut, oak, butternut, walnut and beech on the ridge tops along with maple, oak, hemlock and white pine in the lower valleys with an understory of blueberries and huckleberries provided valuable food supplies. Witch hazel, viburnum, and hazelnut found in the understory of the wetter environs, reflect the greater availability of moisture. The increase in available food sources and the rise in population also led to a greater demand for aquatic resources. The glacial retreat which occurred in Wayne County led to an increase in water sources ranging from ponds and lakes to swamps, bogs and wetlands. This generous supply of water and the ability to travel the Delaware River Valley provided ample resources for these early settlers. Evidence of these early settlers was recorded as early as 1930 with the publication of Archaeology of the Delaware River Valley between Hancock and Dingman’s Ferry in Wayne and Pike Counties, by Max Schrabisch. This comprehensive survey of a 15 mile stretch examined four rock shelters, three villages or long term camps and numerous short term multi use sites. 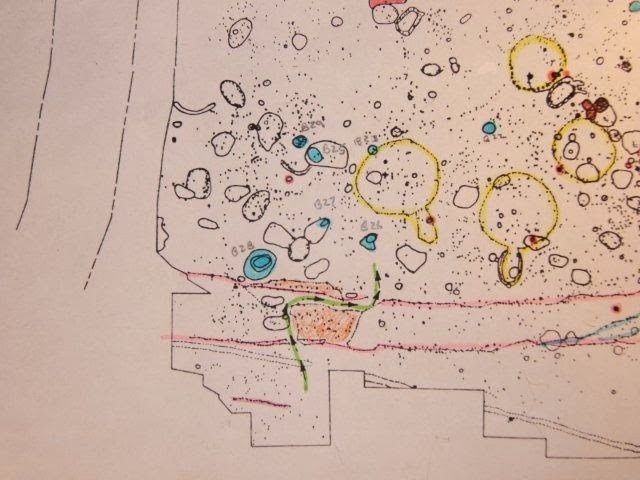 Schrabisch recorded his observations of the sites in detail and provided basic profiles of the rock shelters. His summaries for each site include an interpretation of his findings. An example of this is his description of a shelter identified as “Indian Rock” shelter; “The tale to be read from the culture refuse extant under this rock seems to be as follows: The firepit with its contents of bones betokens cooking and the partaking of a meal; the chips, there being so many of them, the fashioning of an arrow point or two, and the pottery pieces along with the perforated shells the quondam presence of squaws.” While this interpretation certainly makes some broad assumptions, it does provide an overview of the types of activities which occurred in these rock shelters. Considering the time, 1930, Schrabisch was advanced in his practice of recording sites in such detail. We would be remiss in not mentioning the research conducted by Vernon Leslie. His massive collection of over 4500 artifacts resides at the Wayne County Historical Society and is a testament to his years of inquiry and investigation of archaeological sites throughout the Delaware River Valley. His publication Faces in Clay provides an overview of many of the artifacts in his personal collection as well as several other privately held collections. As mentioned earlier the glacial retreat left pools of water which required a means for early settlers to navigate these waters. 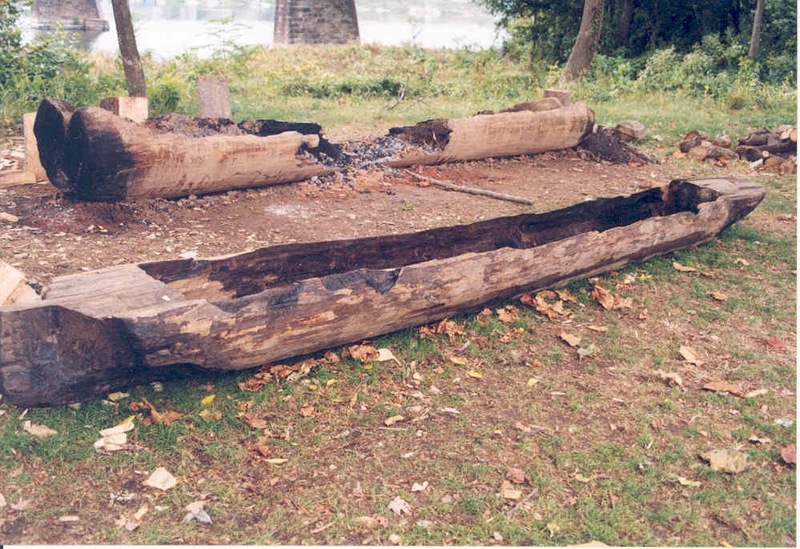 The discovery of the Curtis Pond dugout canoe in 1996 provided an opportunity for archaeologists to examine the environment in which it was found, its method of construction and lastly it offered another example for comparison of with other recovered vessels. Six dugout canoes have been recorded in Wayne County, all very similar in construction with distinctive angular marks produced by metal tools, an indication that these watercraft were made after European Contact. The Pocono Highlands contain glacial ponds filled with tannin-rich waters which contribute to the preservation of organic material including these wooden vessels. Research has not provided strong evidence of the ethnic groups responsible for their construction, but it is likely that both native groups and early colonists would have employed this method of transportation. European settlers emigrated from Connecticut, the Hudson Valley and Northern Europe into Wayne County and began utilizing the resources of coal, lumber and water in developing and settling the region. The footpaths that native peoples used turned into a Turnpike for transporting coal; this is generally the same route as SR 191 today. The Delaware & Hudson Canal Company constructed a 108 mile long system from the Lackawaxen River to the Delaware River that provided anthracite coal to markets in Philadelphia and New York. The canals gave way to the railroad and this led to an increase in the anthracite industry throughout the region. The second major industry was leather tanning. Three tanneries began operation after 1830 and grew well into the 19th century. The leathers were imported from as far away as South America, processed by local tanners and then exported to markets in New York and Philadelphia. These industries and the natural resources of Wayne County have attributed greatly to its settlement. We hope you have enjoyed this glimpse into the archaeological heritage of Wayne County and that you will look at our past blogs for the archaeology of your county. We have only three counties left to explore in Pennsylvania and are gearing up for the next “series” of blogs. If you have a particular blog you would like us to cover, please post your comment and we will see what we can do. We appreciate our faithful followers and hope to continue providing useful information for our readers on the archaeology of Pennsylvania. 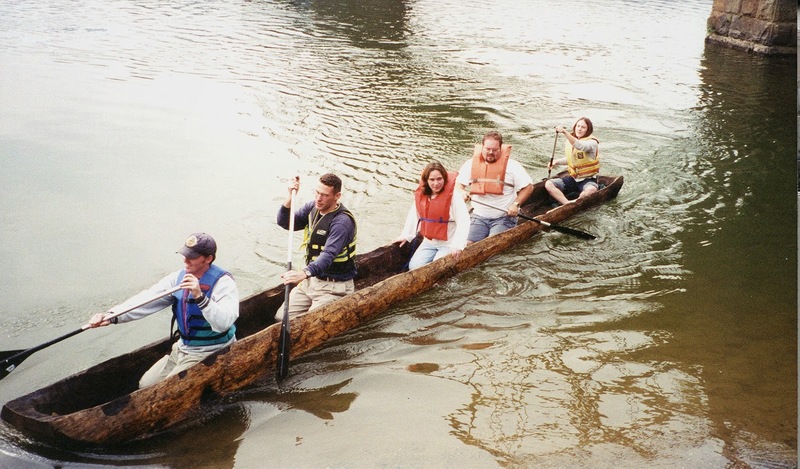 The Curtis Pond Canoe: The Identification, Recovery, and Context of a Dugout Vessel from the Pocono Highlands, March 1998. Unpublished manuscript of the Section of Archaeology, The State Museum of Pennsylvania. Faces in Clay, The Archaeology and Early History of the Red Man in The Upper Delaware Valley, T. Emmett Henderson, Publisher, Middletown, N.Y. 1973. Archaeology of the Delaware River Valley, Between Hancock and Dingman’s Ferry in Wayne and Pike Counties, Pennsylvania Historical Commission, Harrisburg, PA, 1930. 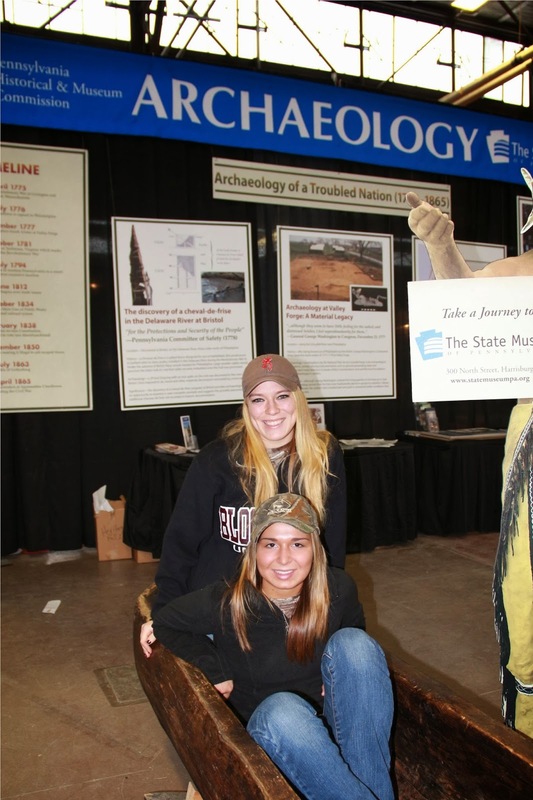 The staff of the Section of Archaeology at the State Museum of Pennsylvania just completed a very busy week at the 2014 Pennsylvania Farm Show. 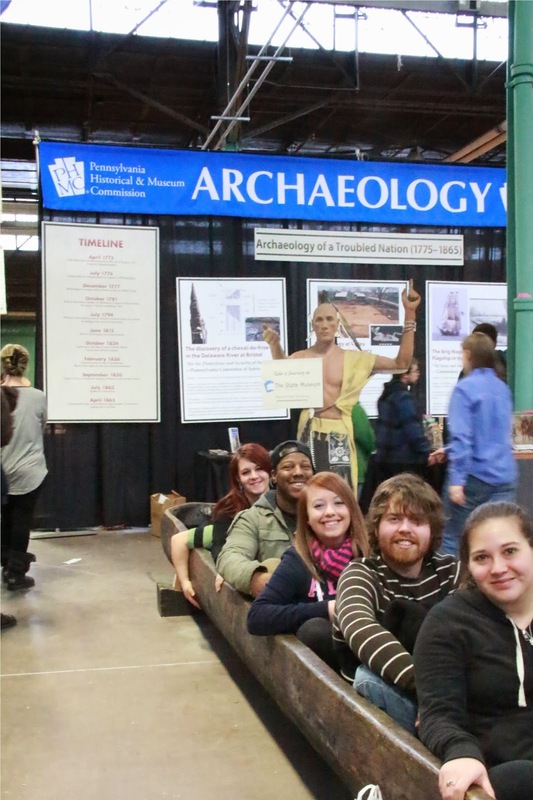 In spite of the temperatures plummeting to minus 2 degrees on one day, we estimated that approximately 43,548 people visited our exhibit where we distributed over 15,000 archaeology brochures, posters, tattoos, free planetarium passes and magazines. Our principal goal at the Farm Show is to share highlights of Pennsylvania archaeology with the citizens of the Commonwealth. We also strive to promote the preservation of archaeological sites in our state so that future generations can benefit from these valuable resources. We think our goal was reasonably well achieved and we are beginning to plan next year’s theme and reflect on how we can improve. Presently, we are considering an exhibit on the Paleoindian/Early Archaic Period and climate change but we are open to suggestions. 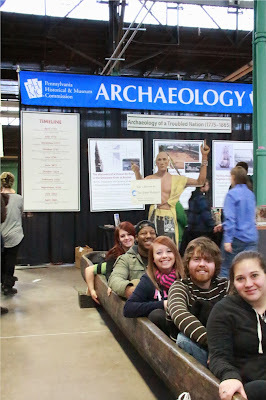 For this week’s blog, we are keeping it simple and conducting a general history of the Section of Archaeology’s Farm Show public outreach program. As best as anyone can remember, State Archaeologist, Dr. Barry Kent initiated the first archaeology exhibit at the Farm Show in 1981. Our first exhibit was simply a display of interesting artifacts, mostly from Native American contexts. Two people from the Section of Archaeology worked at the exhibit from 9:00 am. until 9:00 pm. six days straight! The exhibit area was situated in a dusty area just off the main arena. After a few years, the exhibit was moved to the Family Living area and our theme was changed from simply displaying artifacts to making an effort to record archaeological sites. 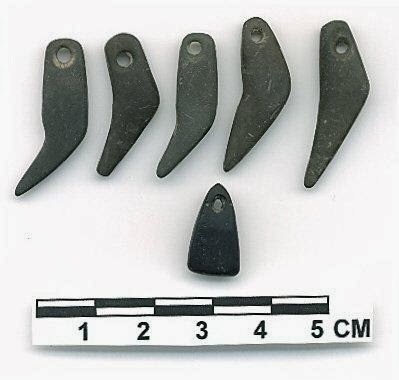 It was felt that many farmers attending the Farm Show had collections of artifacts and these could be recorded with the Pennsylvania Archaeological Site Survey (PASS). Although the effort continued for several years, it proved to be impractical due to mapping issues and was discontinued. During those early years, the exhibit space was small (10X20 feet) but was used to present a variety of themes such as prehistoric farming, projectile point typology and the use of tobacco by Native Americans. In one especially popular exhibit, the problematic artifacts from an excavation at Brandywine Battlefield, Delaware County, were exhibited and the farming community had fun identifying some of the pieces for us since we were unsure of their functions. Unfortunately, by the late 1980’s staffing and funding at the State Museum had been significantly reduced thereby ending the Farm Show public outreach program in 1991. 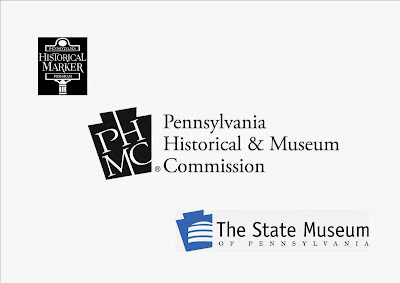 At the same time, another agency within the Pennsylvania Historical and Museum Commission, the Bureau for Historic Preservation (BHP), began expanding its public outreach program in 1991 and initiated “Archaeology Week” as a means to promote the preservation and protection of archaeological resources. This concept was part of a national program organized by the Department of Interior and continues in most states today. The archaeology poster series was started at this time along with an essay contest for middle school students. The BHP conducted a field program at the Central Builders site in Northumberland County to celebrate Archaeology Week in 1992 and 1993 (Archaeology Week was expanded to Archaeology Month in 1996). In 1994, the BHP initiated an alternative mitigation project on City Island involving the Corps of Engineers and the City of Harrisburg. As an integral part of this project, which lasted until 2004, several experimental archaeology projects were initiated such as Native American flint knapping methods, horticulture, pottery making, house construction and making the dugout canoe. The first dugout was made in 1997. It was inspired by the discovery of the Curtis Pond dugout in Wayne County and the discovery of a cache of axe and adze performs on City Island. The first dugout was narrow, had thin side walls, compared to our present dugout. A second dugout was attempted in 1998. This was larger but unfortunately burned in half on its last day of construction. The third dugout was made in 1999 and was very large with thicker side walls. It measured three feet wide and 24 feet long. It was this dugout that made the voyage from Harrisburg down the Susquehanna River to Havre de Grace, Maryland. The first three dugouts were made using copies of 17th century metal axes and fire. 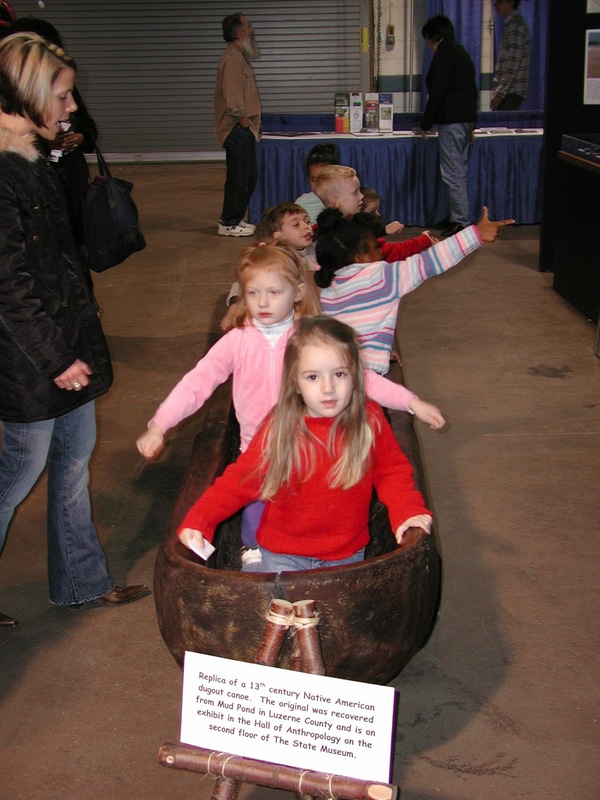 In 2003, the BHP re-instituted the Farm Show public outreach program and the exhibit included this dugout. Unfortunately, dugout #3 suffered from dry rot and was replaced by our current craft in 2005. Once the log was cut in half length wise, the most recent version was made exclusively using Indian technology i.e. stone adzes and burning with fire. The public is very impressed with this 20 foot dugout and it continues to be an attraction at the Farm Show. It has been described as a “kid magnet”. It truly attracts children and allows our staff and volunteers to speak to their parents concerning the preservation of archaeological sites and encourages them to visit the State Museum. Take a journey with us this week in Pennsylvania archaeology as we showcase some of the photos over the years of our public outreach efforts. If you haven't seen us out and about in central PA, please consider visiting us at one of our programs conducted throughout the year so you can join us in embracing our archaeological past! Next week we will return to the archaeology of Pennsylvania by county. This week we have a guest blogger, Judy Hawthorn. Judy is a retired technology and engineering teacher from Cedar Cliff High School and she volunteered several times this week at our Farm Show exhibit. Below are her thoughts on the event. It has been a wonderful week of meeting people who have enthusiastically embraced ‘The Archaeology of a Troubled Nation -1775-1865’ exhibit at the Pennsylvania Farm Show this year. The State Museum of Pennsylvania, Section of Archaeology staff and volunteers spent the week answering questions about archaeology in Pennsylvania, new exhibits at the State Museum and generally discussing the period of the Revolutionary War through the Civil War. Natural curiosity about what people were like in years gone by drew people to the exhibit and of course, the chance to sit in the ‘dug-out’ canoe was an opportunity that many never pass up. By Friday, the exhibit drew over 40,000 people, down slightly from last year probably due to extremely cold weather. But those who came were excited and inquisitive. The ‘dug-out’ was made in 2005 by the staff of the State Museum as part of their experimental archaeology program. 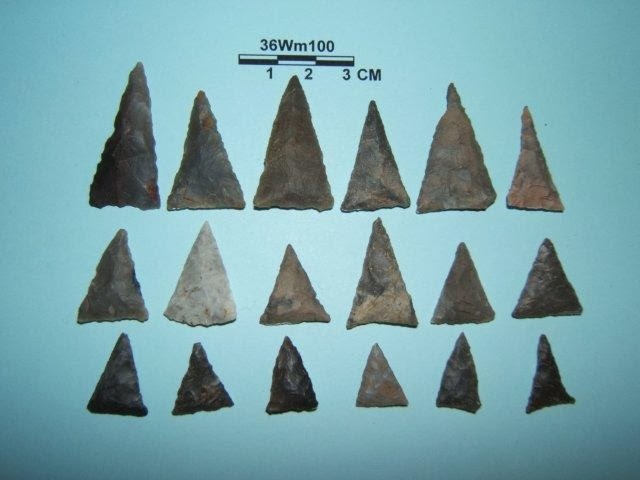 Archaeologists wanted to see how well the stone adzes would work and how long it would take the typical Native American group to construct a dugout using these tools. 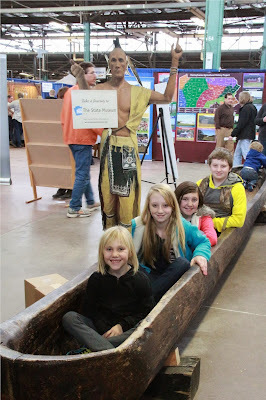 The canoe has been a favorite at the Farm Show ever since. Sitting in the “dug-out”, children imagine they are paddling up or down the Susquehanna River thousands of years ago, looking for deer along the banks or checking the eel weirs for fish in the river. 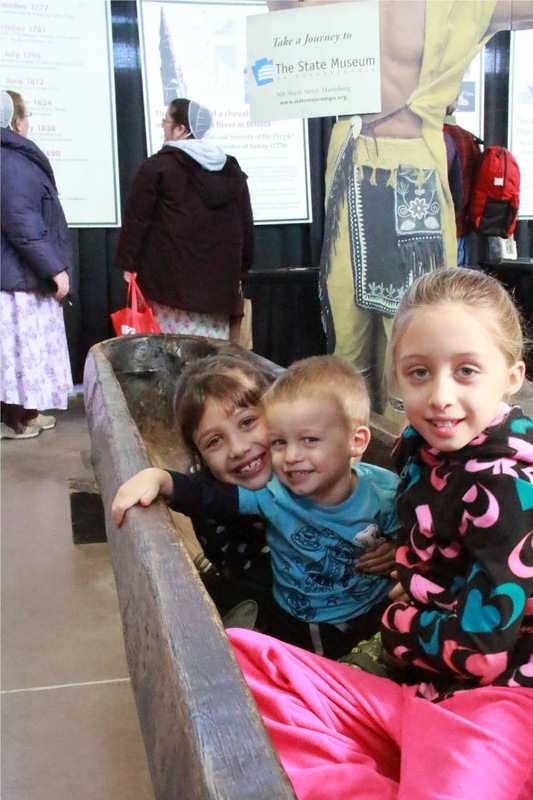 Some children marvel at the thought that the canoe was once a tree, hollowed by using stone tools and then floated in the river and lakes of Pennsylvania. Others simply like sitting in something that is so much larger than they are. The reactions from children were…priceless. Many parents commented that they come each year to take pictures of their children sitting in the canoe. Some teenagers said they were elementary school children when their parents first plopped them down in the canoe for a picture. They have been back each year since and now bring their friends for a group picture. Of course, as a volunteer and retired teacher, I am thrilled to help children understand the history of people living thousands of years ago in the same place where we now live. They all listen intently and the ‘wheels’ turn, imagining how they would have paddled this large canoe with their friends or family. The dugout on display is the third successful canoe made and it is a copy of an 800 year-old canoe that is on display at the museum that was retrieved from Mud Pond in Luzerne County many years ago. Another area of interest was the Cheval de frise excavated from the Delaware River in 2012. The cheval de frise was an implement of war used by the Continental forces to prevent ships from sailing up river during the attack on Philadelphia in 1777. In another exhibit, young people peered in the showcase that housed lead shot with tooth imprints. Looking closer, they learned what the colloquial saying “bite the bullet” truly meant. From the Revolutionary War to the Civil War, items on display were of interest to all who stopped by. The State Museum of Pennsylvania’s exhibit at the Pennsylvania Farm Show is an annual event where a sample of the Commonwealth’s artifacts are shared with the public. If you haven’t been able to attend the Farm Show then make it a point to visit the State Museum. There is something for everyone to see, learn and experience. The New Year is upon us, and with it is the return of the Pennsylvania Farm Show. The 98th annual PA Farm Show begins at 9 A.M. this Saturday the 4th and runs through 5 P.M. the following Saturday, the 11th. 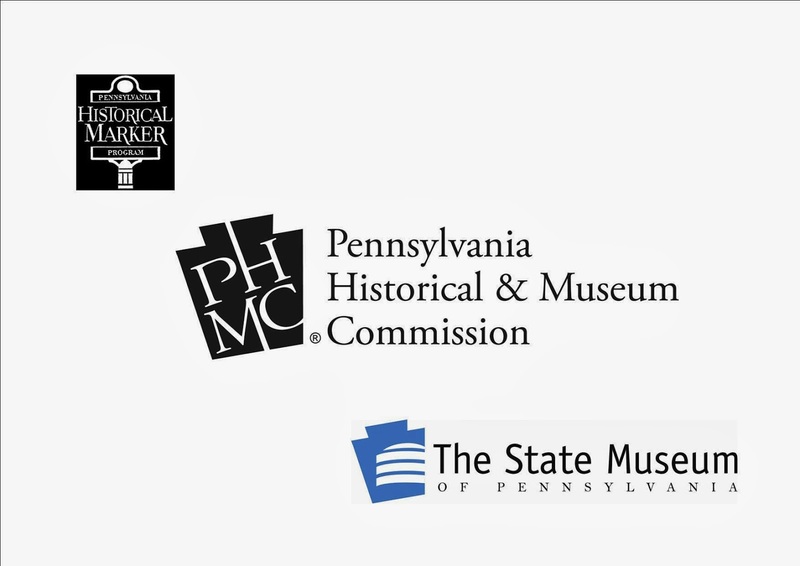 The State Museum of PA’s display will be set up in the Family Living section, located in the main exhibition hall of the Farm Show Agricultural Complex. Our exhibit for this year’s Farm Show, a cooperative endeavor by the Society for Pennsylvania Archaeology, Inc. (SPA), the Pennsylvania Archaeological Council (PAC), and the Pennsylvania Historical and Museum Commission (PHMC), is an extension of the topic discussed at the Workshops in Archaeology program held at the State Museum of PA back in November entitled, “The Archaeology of a Troubled Nation 1776-1876”. This period covers the Revolutionary War; the War of 1812 and the final break with Great Britain; economic growth and the industrial revolution; and the anti-slavery movement and the Civil War. Pennsylvania played a significant role in all of these events. At the dawn of the American Revolution, Pennsylvania was the third largest colony. It contributed abundant supplies and labor to the war with Great Britain. After the Revolution, it continued to contribute to the growing nation in the form of farming and industry. With its vast natural resources such as coal, lumber and iron, it made a significant contribution to the industrial revolution. Pennsylvania was also at the center of economic and social change during the mid 1800’s. Along with its anti-slavery stand, it made a significant contribution in the form of men and supplies to the Civil War. Archaeological investigations conducted at many historic sites from this period provide us with unbiased documentation of these important historical events. They presented us with the personal effects of those who served our country, their sacrifices and, ultimately, archaeology contributes to a better understanding of this turbulent time in American history. Large text panels illustrate important aspects of each of these periods of conflict and corresponding artifact displays will help to engage on lookers with their heritage. A series of informational brochures produced by the Section of Archaeology covering a wide range of interests are complimentary, as well as copies of Pennsylvania Heritage and American Archaeology magazines courtesy of our friends at the PA Heritage Foundation and the Archaeological Conservancy respectively. Membership forms for the Society for Pennsylvania Archaeology will also be on hand. Still more offerings include passes to the State Museum of PA’s planetarium, the current Archaeology Month Poster highlighting the 150th anniversary of the Battle of Gettysburg, and rub-on “tattoos” featuring the Section of Archaeology’s logo, which is, if you ever wondered, a stylized version of a human face effigy sometimes found adorning the rim of Susquehannock pottery of the Washington Boro Phase (c. 1600-1625 A.D.). And of course, no trip to the Farm Show would be complete without a photo-op in the ever popular replica wooden dugout canoe, with or without milkshake. Guys, gals, young and old, even the occasional dog love the dugout canoe! So brave the winter weather and make your way to the 98th annual Pennsylvania Farm Show. We hope to see you there!